There are so many shows airing on Wednesday. Let’s talk about THE GOLDBERGS, CHICAGO MED, RIVERDALE, MODERN FAMILY, CHICAGO FIRE, ALL AMERICAN, and A MILLION LITTLE THINGS. 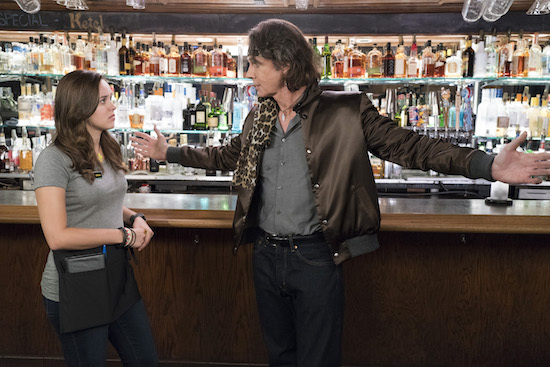 THE GOLDBERGS: Thank you GOLDBERGS for having Rick Springfield (AKA Gary) do a karaoke version of “Jessie’s Girl.” It’s a little bittersweet watching Barry and Lainey fumble through trying to plan their life together, when we know Lainey is a vital piece of the upcoming (’90s-set) spinoff. CHICAGO MED: Will, Will, Will…you’re going to be in trouble. Yikes, the new intern is going to be dangerous. While it, logically, makes sense why she did everything in her power to save the patient—who was unwilling to get needed surgery because it jeopardizes her “miracle” (ectopic) pregnancy—it ultimately wasn’t her call. I understand why the new COO is worried about how a “bad” transplant could impact their numbers, but I’m guessing a suicide in your emergency department doesn’t look any better. RIVERDALE: The show has always been out there, but that trial was so, so, so weird. It felt like it was something out of an entirely different show (those fans?? ), and you’d think the prosecutor would have had to offer their new plea deal to Archie before the jury came back? Anyway. It’ll be interesting to see how long the show plays with Archie being in prison. MODERN FAMILY: The Alex and Jay scene—where she discussed possibly moving away from science to pursue singing—was really great. It struck the right tone of Alex questioning her life, and Jay being supportive, but not dismissive. CHICAGO FIRE: Aww, Herrmann got promoted. ALL AMERICAN: I really, really, really enjoyed this pilot. Like I mentioned, it feels like THE OC meets FRIDAY NIGHT LIGHTS and I am so intrigued by what that end twist means. What is Billy hiding?? Oh, and Daniel Ezra should be a star. Which Wednesday shows did you watch?